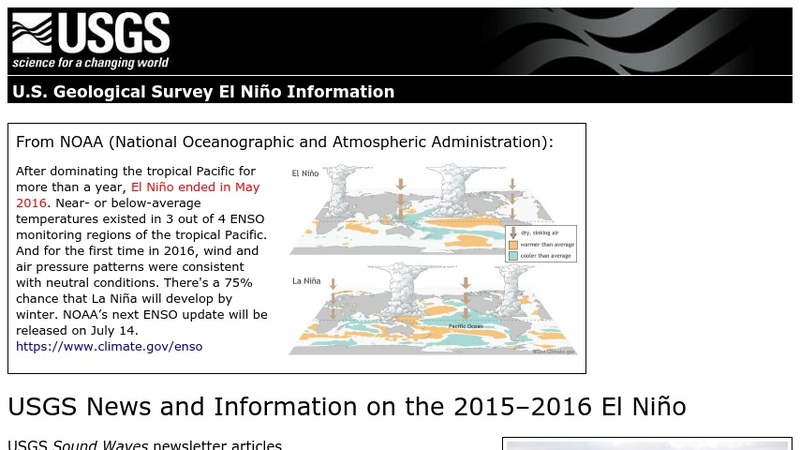 This web page assembles the publications of the USGS related to El Nino. Much of the material viewed in mid-2001 is about the extreme 1997-1998 El Nino season. Topics include floods, landslides, coastal hazards, and climate. Users can also look under news releases and find related links. An article is also devoted to explaining El Nino.